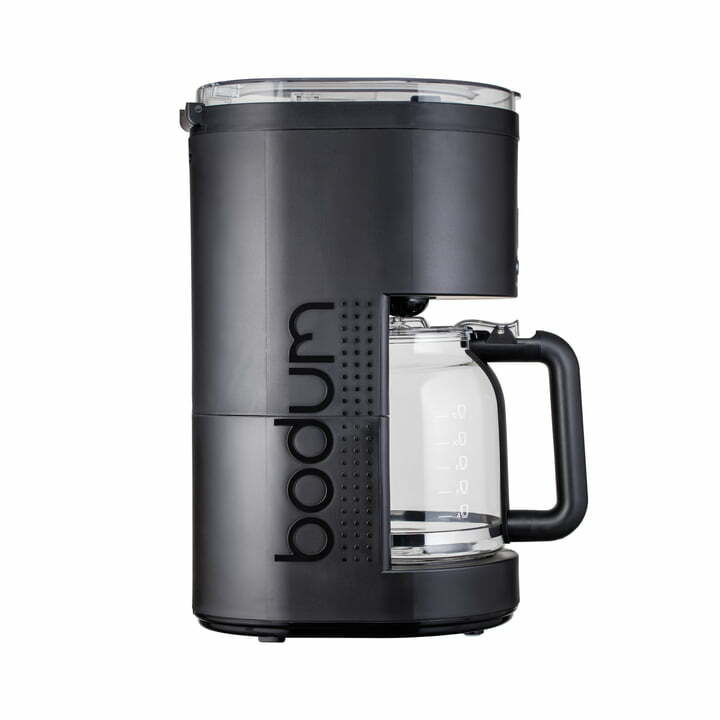 The coffee maker by Bodum Bistro celebrates the simple filter coffee. The electric coffee maker Bistro by Bodum has a timeless design and only needs to be filled with water and ground coffee to have fresh coffee ready in minutes with the push of a button. Between 4 to 12 cups can be prepared. The Bistro coffee machine features a integrated stainless steel filter which avoids having to use paper filter. The water runs through the filter and goes into the glass jug with which the coffee can also be served. Thanks to the lid, the freshly brewed coffee is kept hot for up to half an hour. The electric coffee maker Bistro by Bodum has a timeless design and needs to be filled with just water and ground coffee to have a fresh pot of coffee ready in minutes. Between 4 to 12 cups can be prepared.